SeaWorld is offering $5 admission to any child age 12 and under until December 31st in an effort to inspire and support wildlife conservation! SeaWorld Helps Families reConnect With $5 Kids Tickets and 100% of each child’s ticket sold goes to wildlife conservation effort of choice. ORLANDO, FL (April 27, 2010) -- Summer is the perfect time for reconnecting with family and friends and making memories that will last a lifetime. And now, the SeaWorld parks are rolling out an offer that comes at the perfect time for vacations and allows families the chance to make a real difference for wildlife conservation. Now through December 31, with each full-paid, SeaWorld Orlando, San Diego or San Antonio single-day, adult admission purchased online, any child age 12 and under gets a $5.00 admission, all of which goes to fund non-profit organizations that are working right now on wildlife conservation projects. Families even can choose which wildlife conservation effort receives their donation. Complete details are available at SeaWorldCares.com. And with so much new to do at all of the SeaWorld parks, there’s never been a better time to visit. In Orlando , SeaWorld fans can brave Manta, an all-new flying roller coaster and the only one of its kind in the world. It’s a seamless blend of up-close animal encounters with a head-first, face-down thrill ride that’s sure to top the must-see lists again this summer. At SeaWorld San Antonio, the park takes animal and human interaction to a new level with the premier of “Azul: Lure of the Sea,” a spectacular new show featuring high divers, synchronized swimmers, aerialists, bungee artists, animal trainers and, of course, acrobatic Pacific white-sided dolphins and graceful beluga whales. There’s something new on the horizon at SeaWorld San Diego: a breakthrough theatrical spectacular that unites sea and sky as it showcases majestic animals and spirited performers. “Blue Horizons” -- featuring energetic bottlenose dolphins, majestic pilot whales, a colorful array of exotic birds and amazing human performers -- is scheduled to open May 29, 2010. For important details on this offer and to buy tickets, go to SeaWorldCares.com. SeaWorld Parks & Entertainment operates 10 parks across the U.S. including SeaWorld parks in Orlando , San Diego and San Antonio ; Busch Gardens parks in Tampa , Fla. And Williamsburg, Va.; Discovery Cove and Aquatica in Orlando; Sesame Place near Philadelphia, Pa.; and water parks Adventure Island in Tampa and Water Country USA in Williamsburg. The 10 parks play host to 25 million guests each year and employ 26,000 people nationwide. To learn more, visit www.SeaWorldParksBlog.com or call toll-free 1-888-800-5447. Additionally, SeaWorld Parks & Entertainment created the SeaWorld & Busch Gardens Conservation Fund, a non-profit, private charitable foundation committed to supporting wildlife and habitat conservation, research, education and animal rescue programs worldwide. Learn more at SWBG-ConservationFund.org. 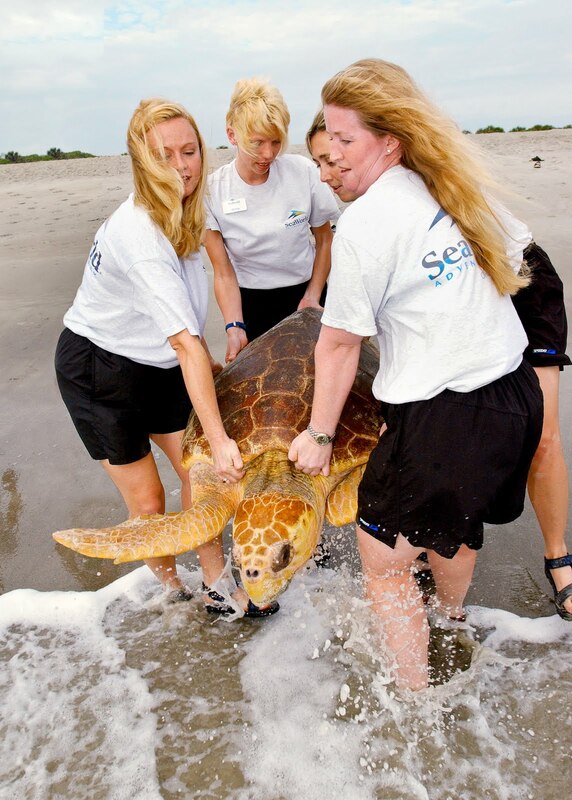 SeaWorld aquarists release an endangered 200-pound loggerhead sea turtle back into the waters of Cocoa Beach , FL. From tiny loggerhead hatchlings to giant adult leatherbacks, SeaWorld Orlando has rescued more than 1,300 endangered sea turtles. 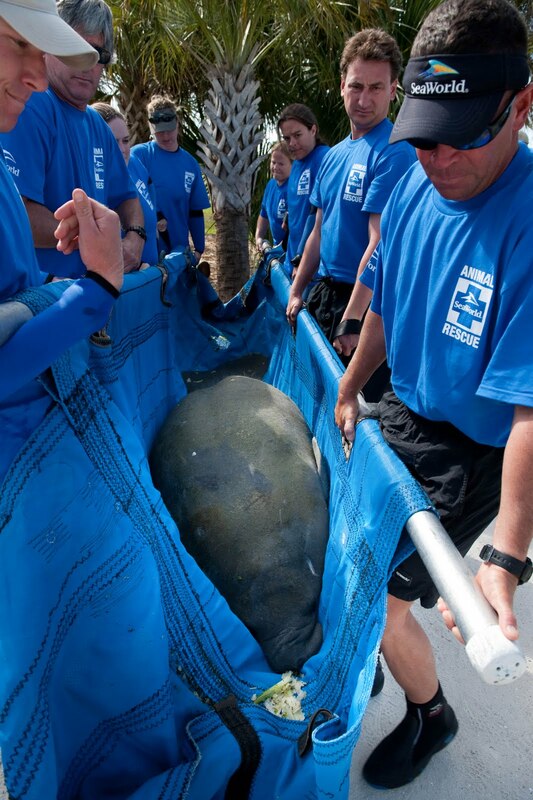 The SeaWorld Animal Rescue Team releases a 530-pound, female manatee, rescued during the record January cold snap in Satellite Beach , FL. The goal with every rescued animal is to eventually return it back into nature. No organization in the world today rescues, rehabilitates and returns to the wild more marine animals than SeaWorld. A theme park visit gets turned upside down for riders on Manta, SeaWorld Orlando’s newest attraction. The only flying roller coaster of its kind in the world, Manta is a blend of up-close animal encounters with a head-first, face-down thrill ride that’s sure to top the must-see lists again this summer. Will you be counted in 2010?